The Ashaway Dynamite 18 Soft tennis string offers Zyex multifilament core that ensures increased power and prevents tension loss. The 18 gauge provides softer feel and resilience. The string is recommended for both professional and amateur players, and for those who seek minimal tension loss and consistent performance. It is recommended to string the Dynamite 18 at a 10-20% lower tension than standard strings. The set is 12 metres (40ft.) long. 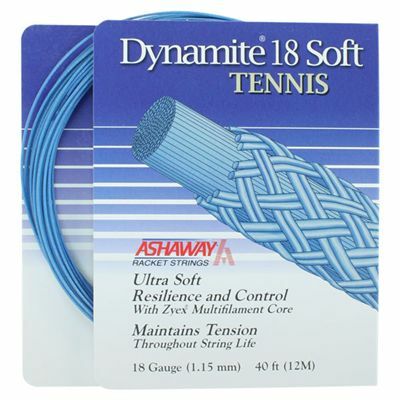 for submitting product review about Ashaway Dynamite 18 Soft Tennis String - 12m set 2012.